Craniocervical junction abnormalities that are acquired (due to an injury) result in bony misplacement of the first two cervical vertebrae relative to the foramen magnum that decrease the potential space for the lower brain stem and cervical cord and can result in cerebellar, lower cranial nerve, and spinal cord symptoms. Because the lower brainstem and spinal cord are flexible and therefore susceptible to compression at this level can cause symptoms that vary from patient to patient that can result in serious health problems. Symptoms are produced by the mis-alignment of the atlas, axis, or occipital bone producing symptoms of cervical myelopathy when the anterior-posterior diameter of the foramen magnum relative to the atlas or axis decreases to < 19 mm. Misalignment of One of The Top Two Neck Bones. You must consider the relationship between your head and the upper two neck bones. 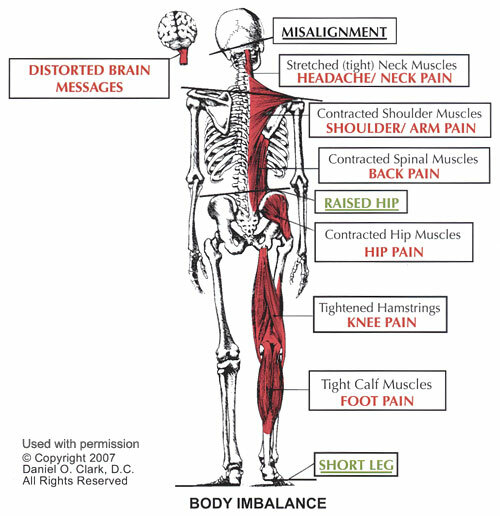 This imbalance of the head on the spine not only puts pressure on the brainstem and upper spinal cord, it can also causes the muscles at the top of the neck to tighten up and/or spasm which can result in pain in some cases. ﻿Dr. Grayson Blom is a Boise, Idaho native that works with a nationwide group of Doctors expertly trained and specializing in the Upper Cervical procedure. Dr. Blom is also one of the few Doctors in the state of Idaho trained and certified in the Upper Cervical procedure. We are dedicated to helping patients just like you who suffer acquired craniocervical junction abnormality, chronic headaches, migraines, neck pain, back pain and other spinal-related disorders.